Himalayan Balsam, also called Policeman’s helmet, is native to the western Himalayas. It was introduced to North America as an ornamental garden plant and was first recorded in Connecticut in 1883. 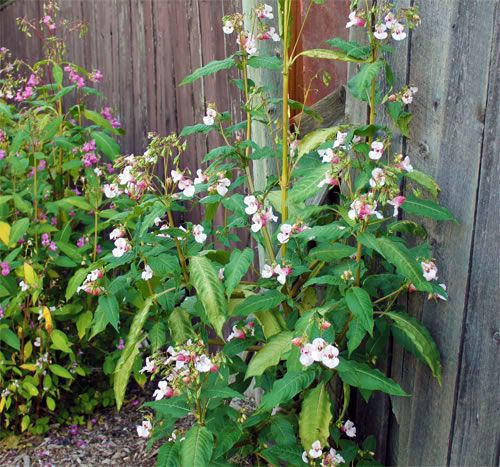 Himalayan balsam is an aggressive invader of wetlands, streams and moist woodlands where it displaces native and beneficial vegetation, causing loss in native biodiversity. Seeds can be transported by water which helps this weed to spread quickly along waterways. 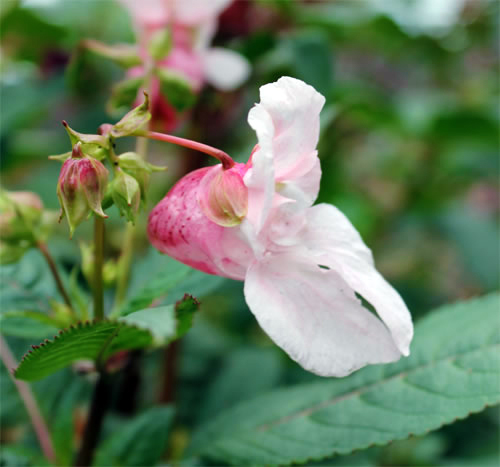 The large white, pink, or purple flowers resemble a British policeman’s helmet. The leaves are egg-shaped or elliptic with pointed tips and have a prominent red middle vein. They are arranged oppositely or in whorls of three. 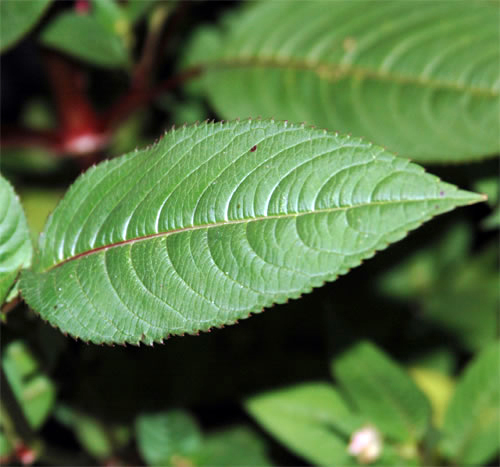 The leaf edges are sharply serrated and have glands. Its stems grow 1-3 m tall.